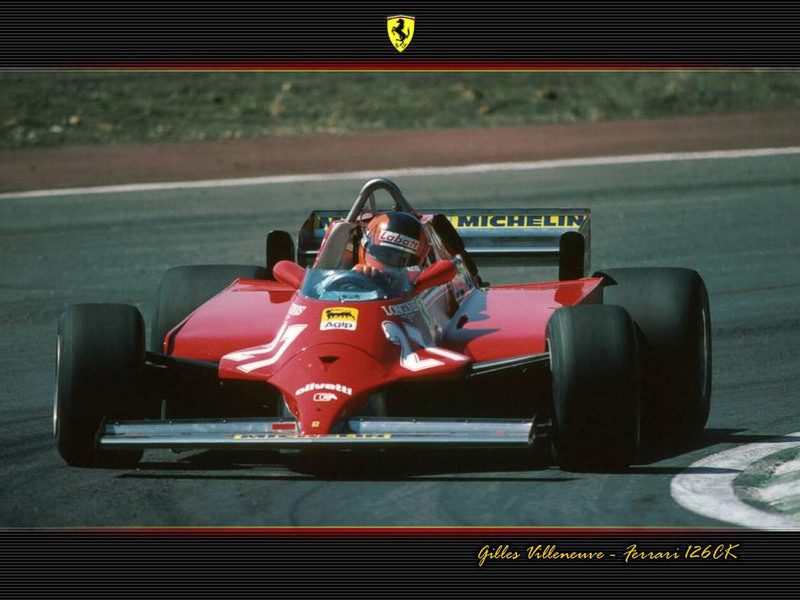 This site area is for all the fans who want to publish, exchange and share unpublished material about Gilles Villeneuve: photos, videos, news, information and anything else which can be useful to know Gil’s life and personality. Allan de la Plante sent us this article and the cover from "Nuvo Magazine". Many thanks. He almost seemed to float when he walked. He tended to walk on the balls of his feet. Today he walked tall. In just seven Grands Prix starts, Gilles Villeneuve would line up next to his much more experienced team leader, Carlos Reutemann, on the coveted front row of the United States Grand Prix grid. 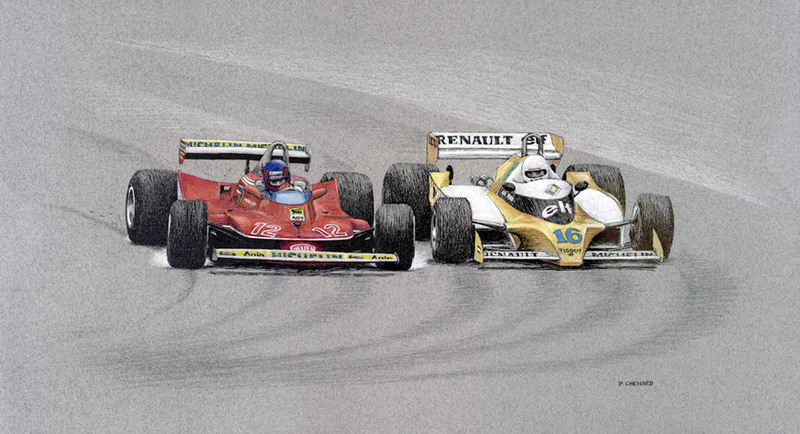 Before the end of the first lap, Villeneuve would lead his first Grand Prix in splendid style. Then, quite expectedly, as things have a tendency to do in Grand Prix racing, everything quickly changed for the worse. Villeneuve came upon two cars fighting it out for eleventh place, a full lap behind. Not one to waste time disposing of cars he was lapping, Villeneuve dove to the inside of the Shadow of Clay Regazzoni. As he did so, his blood-red Ferrari glanced off the inside curb. 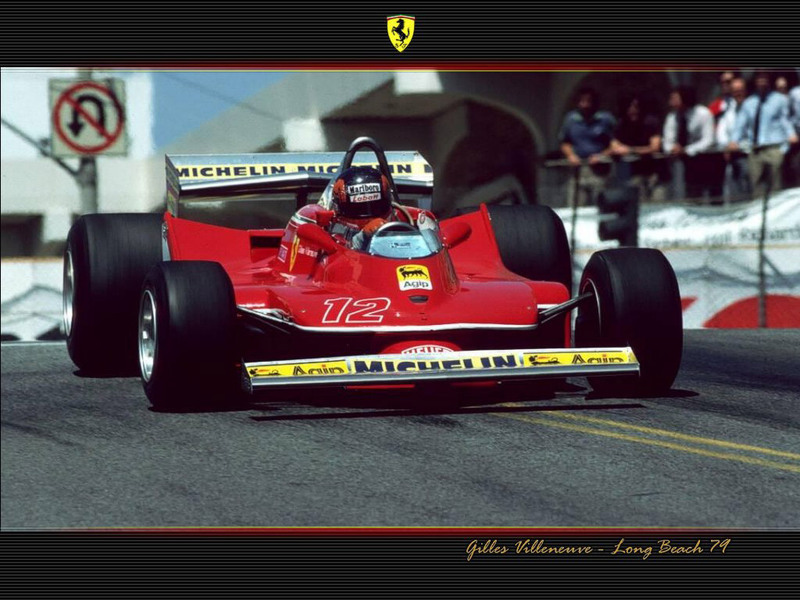 Villeneuve's right front tire came in contact with the left rear of Regazzoni's Shadow. The impact, fortunately at relatively slow speeds by Grand Prix standards, threw the Ferrari up into the air, over the head of Regazzoni. The flying car spun around like a "Frisbee" and came to rest in the tire barriers. Villeneuve stepped from the wreck with the only injury being to his pride. It was the second accident of this type since Villeneuve had moved to Formula 1, the big league of autoracing. It was the third such incident I had seen since I had first encountered the fiery young French-Canadian. The first had been in Turn Three, during a Formula Atlantic race at Mostport, in 1975. Villeneuve suffered a broken left leg. Again contact between his front wheel and the rear wheel of another competitor had cut short his charge for the front. In Japan, in the last race of the 1977 Formula 1 season, Villeneuve missed his breaking point leading into one of the faster corners on the Fuji circuit. His left front tire came in contact with the right rear tire of the Tyrrell of Ronnie Peterson. The Tyrrell would spin off into the grass, while Villeneuve's Ferrari was launched crazily into the air and somersaulted over the protective Armco barrier. The crash resulted in the death of a course Marshall, a photographer and serious injury to several spectators that had moved into the restricted area. Villeneuve walked away from the destroyed Ferrari unharmed. Canadians, to this point, had not had a great presence in Grands Prix racing. Several times during the 1970's, Canadian drivers were presented the opportunity to contest the Canadian Grand Prix as "Rent-a-racers". Simply put, they put up the cash to get behind the wheel of a Formula 1 car. Much of this funding came from the sponsors of the race, with the intent to attract even more attention from the media. 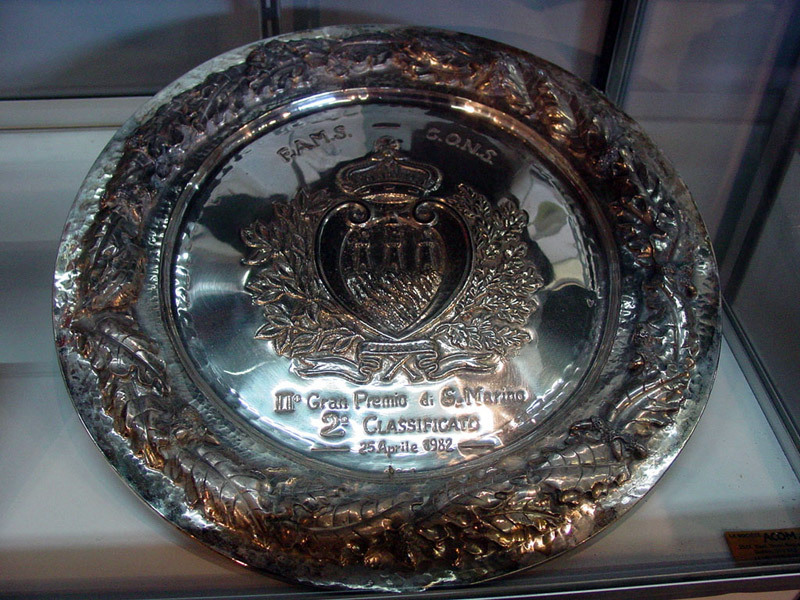 Ever since 1961, the Canadian Grand Prix had been held as a sports car race. In 1967, Canada's Centennial year, race organizers had successfully lobbied the F.I.A., the sports governing body, to hold a World Championship Formula 1 race at Mosport, east of Toronto. This race, held on the very demanding Mosport track, had two Canadians on the starting grid. Eppie Wietzes and Al Pease, both of Toronto, had qualified, albeit some seven seconds off the pole winning time of legendary Lotus driver, Jim Clark. In 1968, the race was held north of Montreal at the picturesque Le Circuit Mount Tremblant. Al Pease was again back, but failed to qualify. Toronto's Bill Brack was the lone Canadian to fly the colours. 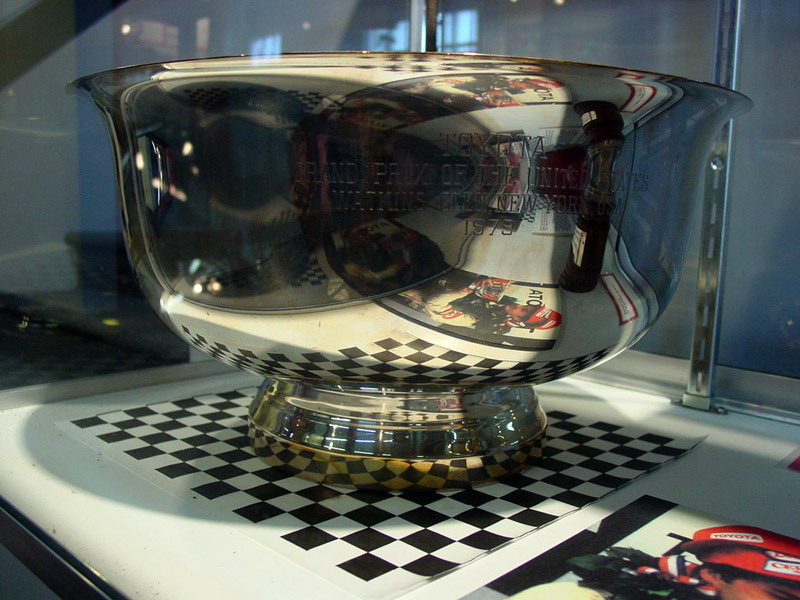 The following year the race would return to Mosport, with three Canadians qualifying for the race. John Cordts would join Pease and Brack at the back of the grid. Only Brack would finish the race, some ten laps off the pace. The rental cars would not be competitive in anyone's hands. 1969 would see another Canadian throw his hat into the Grand Prix ring. George Eaton, of the Eaton department store chain, had secured himself a full-time ride with the BRM team. Eaton would be the number three driver on the British team. He would begin his tenure with BRM at the final two races of the 1969 season. He would fail to finish either of these events. Eaton would enter ten races with BRM in 1970. He failed to qualify in two and qualified no higher than ninth during the rest of his season. He failed to gain a single World Championship point. In 1970, the Canadian Grand Prix returned to Le Circuit Mont Tremblant. It would be the last time the race was be held there. George Eaton would again suit-up for BRM in 1971, but only at the Canadian Grand Prix, now being held back at Mosport. The Canadian Grand Prix would be held there until 1977. Bill Brack would be the only Canadian driver to appear at Mosport in 1972. He had taken over the seat of a BRM for a one-off ride. The next Canadian to drive a Formula 1 car would be two years later in 1974. Eppie Wietzes appeared in a beautifully decked-out Brabham, in Team Canada colours. There would be no Canadian Grand Prix in 1975, with money and the Mosport track needing a serious face-lift to make it meet new Grand Prix standards. 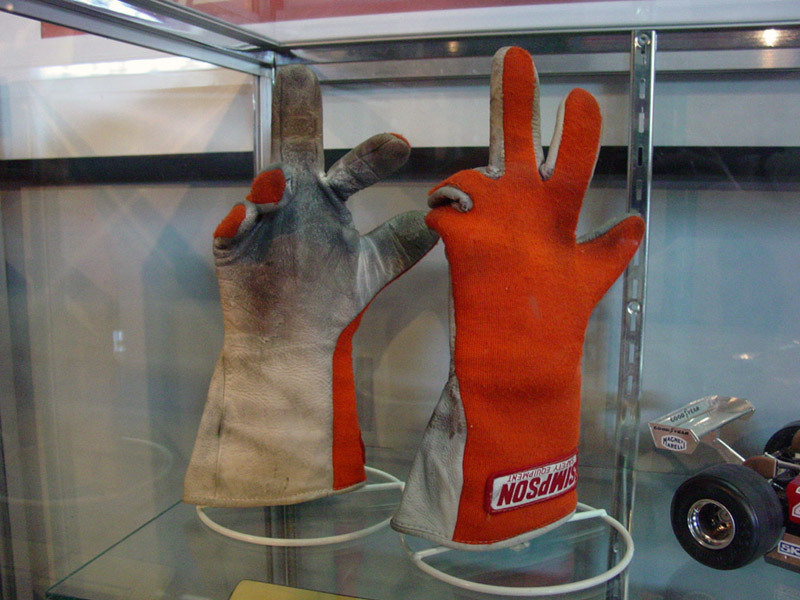 Once these standards were met, the Grand Prix would be held at Mosport for 1976 and 1977, the year Gilles Villeneuve took over the seat of Niki Lauda's Ferrari. 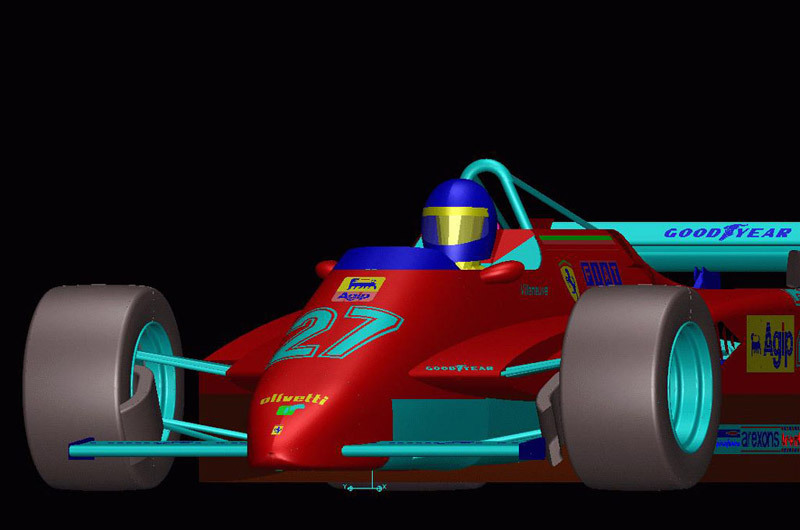 It would be Villeneuve's first appearance, in Canada, in a Grand Prix car. In 1976, at the Formula Atlantic race at Trois Rivieres, Villeneuve so soundly trounced James Hunt, of the Formula 1 McLaren team, that Hunt was quick to bring Villeneuve to the attention of McLaren team manager, Teddy Meyer. The Trois Rivieres race annually added Formula 1 regulars to the starting grid to enhance the prestige of the Quebec event. Hunt had been joined in Quebec by Alan Jones, Patrick Depallier, Jean-Pierre Jarrier and Vittorio Brambilla, all established Formula 1 stars. Villeneuve qualified on the pole and left all opposition in his dust. In 1977, Villeneuve was invited to drive an aging Formula 1 McLaren in the British Grand Prix at Silverstone. 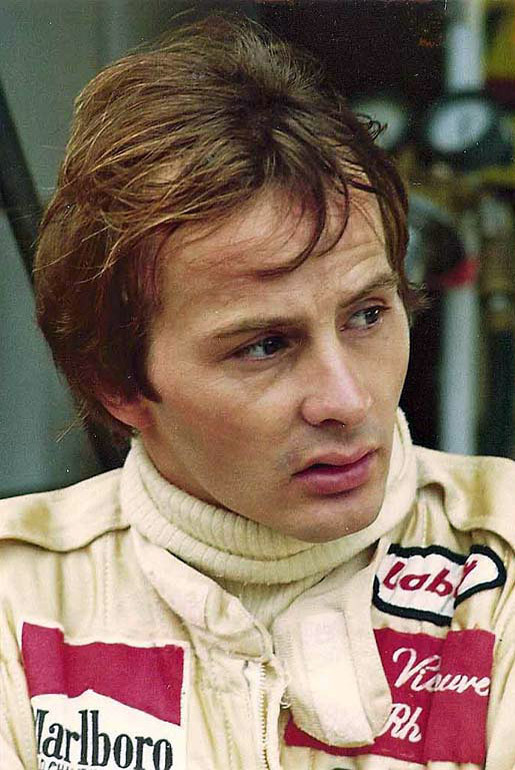 The number of entrants attempting to qualify for a Grand Prix had now reached such a number, that Villeneuve had to take part in two timed sessions before he was even allowed to enter official qualifying. Only five cars out of seventeen would be allowed to attempt to make the final grid. Villeneuve finished first in this pre-qualifying session and went on to stun the Grand Prix regulars by qualifying ninth in a field of twenty-six cars. 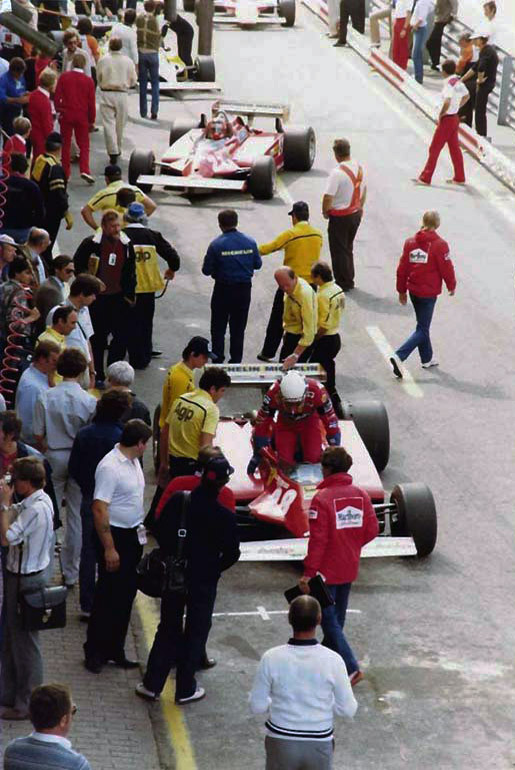 During the race, Villeneuve was firmly in seventh place, going for sixth, when a faulty temperature gauge indicated that the engine was overheating and about to expire. Villeneuve headed for the pits and what he thought was retirement. The faulty gauge was found to be defective and Villeneuve re-joined the race to finish eleventh. He also contributed one the race's fastest laps. Not a bad beginning for a young man from Canada. Villeneuve had signed a contract with McLaren for a total of five races, plus an option for a full-time ride with the Formula 1 team. He waited impatiently for another call from McLaren, but the call never came. The call came from Ferrari! The problem would be the contract with McLaren. 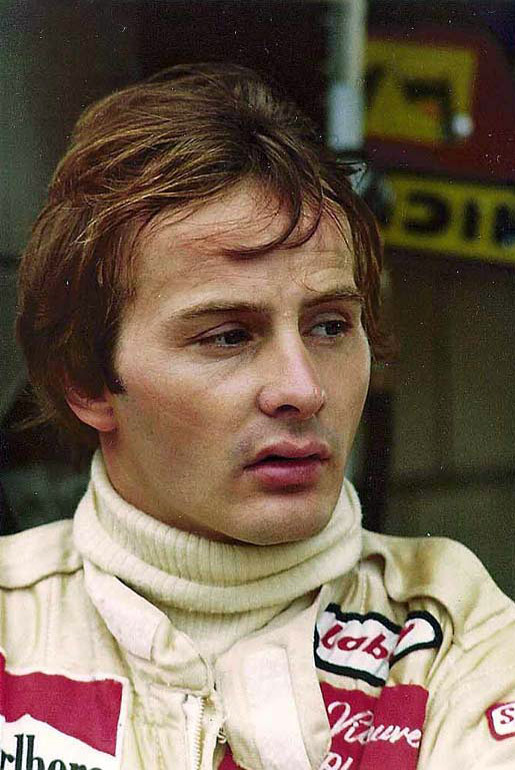 During his early Formula Atlantic days, Villeneuve had taken on the services of Gaston Parent, as his personal manager. The friendship between the two men flourished and the astute businessman from Montreal took no time in disposing of the difficult McLaren contract. 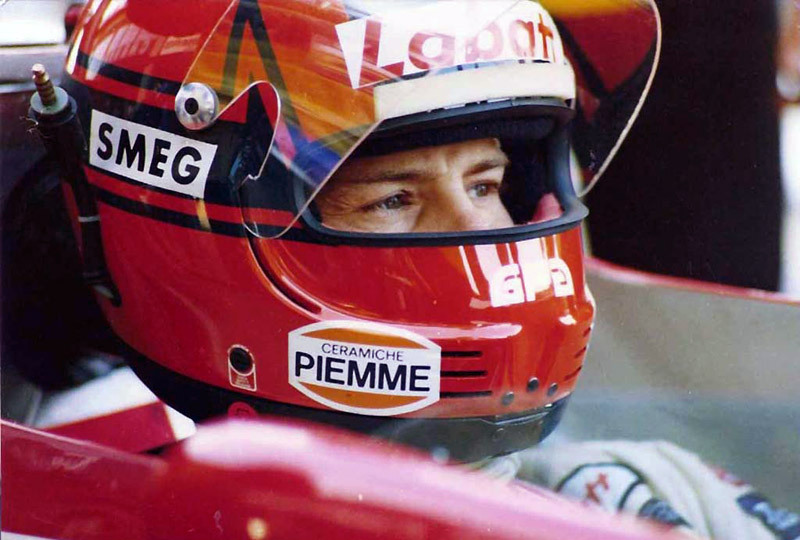 Villeneuve became the owner of the most sought after seat in Formula 1. He was a full-time Ferrari driver at a fee of $50,000.00. 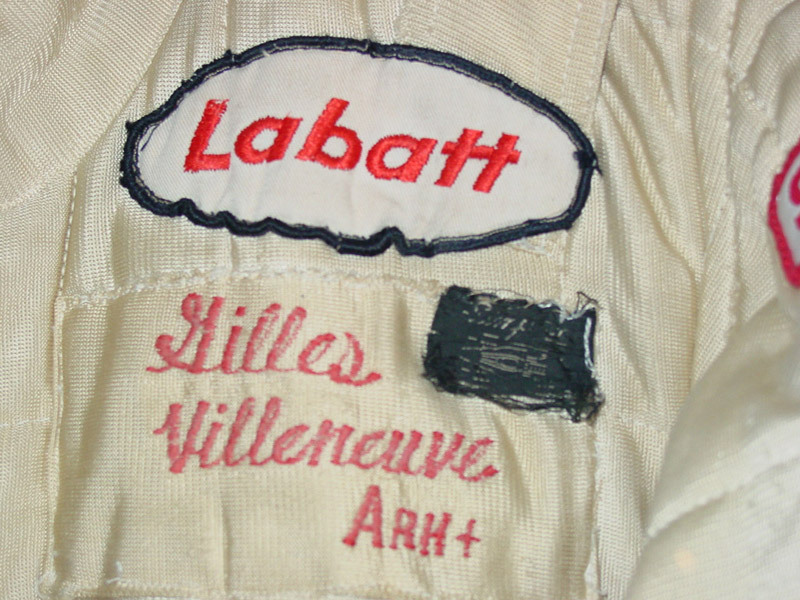 Parent saw the benefit of owning the rights to advertising on Villeneuve's driver's suit. He retained the rights to the space for Villeneuve and proceeded to secure several very lucrative sponsors that were anxious to tie themselves into Formula 1 in any way. Villeneuve had come a long way from a kid from Quebec, with a mortgaged mobile home, a wife and two small children. The rest of the Villeneuve saga has taken many books to tell. Villeneuve went on to win his first Grand Prix at home, the first time it was held on the new Formula 1 track on Ille Notre Dame, located in the heart of Montreal. 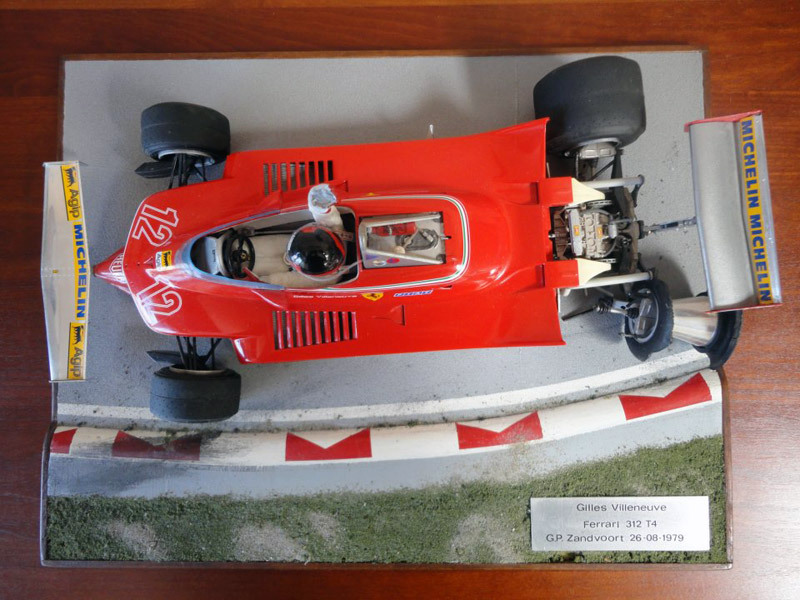 He performed in sixty-seven Formula 1 Grands Prix, all but one, in his beloved Ferrari. He won just six races over the four year span, but he won over the hearts of all Grands Prix fans. His gentlemanly conduct off the track, very often too direct for some, was traded for a swashbuckling style behind the wheel that no one had ever seen before and probably have not since, in the Grand Prix world. 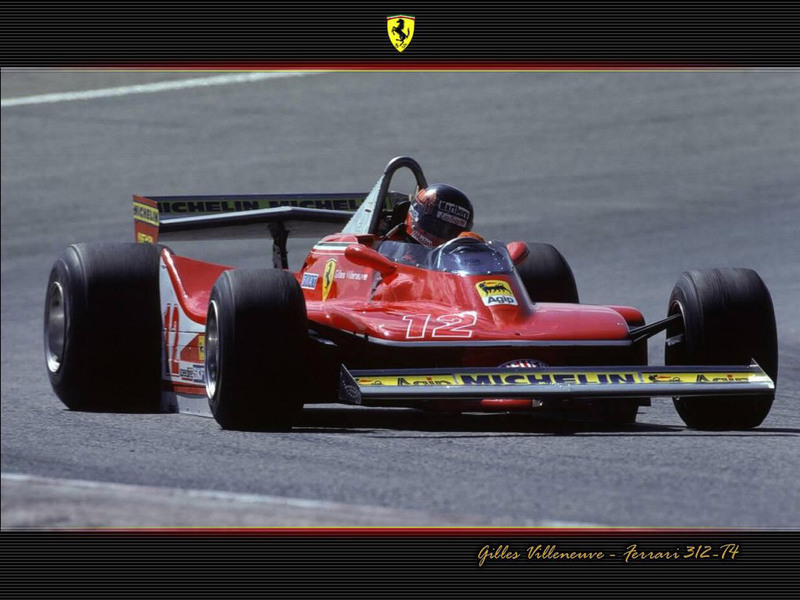 Villeneuve had many exciting Grands Prix drives and many that he should have won. Three time Formula 1 World Champion, Jackie Stewart, once said: "Gilles had a habit, when in the lead, to push the car beyond it's limits. He was a great 'bleacher pleaser', but it was credited to Fangio for saying 'You must win a race at the slowest possible speed'. 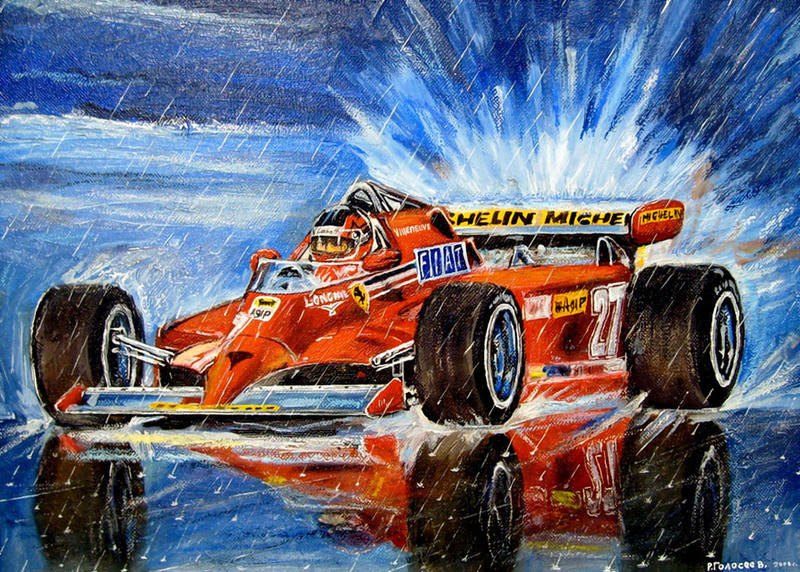 Gilles would often break the car, rather than nurse it to the finish and the win." 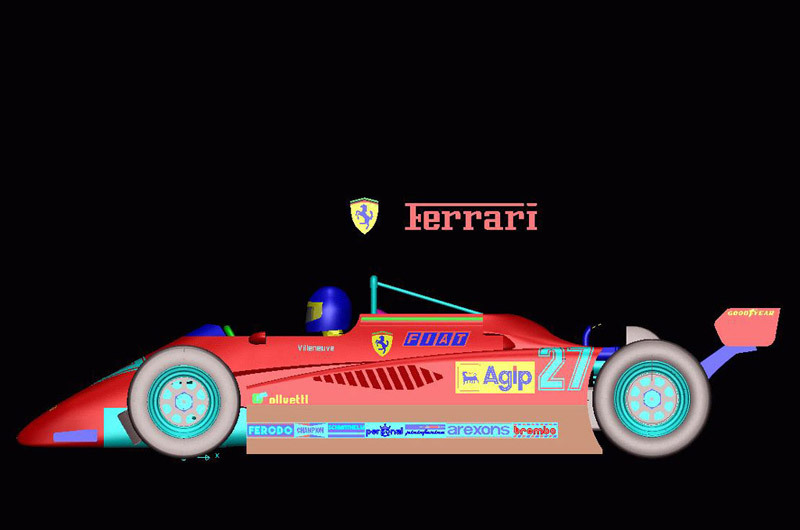 "Gilles only wanted to prove he was the fastest. It wasn't about winning the race, it was about setting the fastest lap." said Jody Scheckter, Villeneuve's team mate at Ferrari. Villeneuve often did this, both in the race and in qualifying. During the 1979 season, at the race in Watkins Glen, Scheckter had ventured out on the track during Friday's qualifying session. It had been raining terribly and water was pooled at various parts of the track. Scheckter returned to the pits, quite pale, but satisfied there was not a human on the face of the earth that could endure the conditions at anywhere near the times he had set. He was almost right, but on this day Villeneuve seemed far from human. 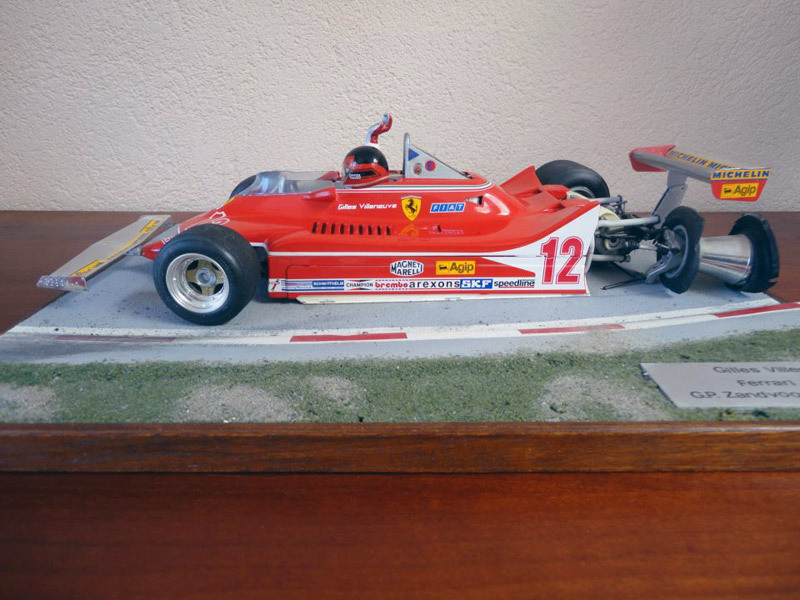 When Villeneuve returned to the pits, after slipping and power sliding his Ferrari around the dangerous circuit, it was Scheckter who told him he had beaten his time by an impossible eleven seconds! 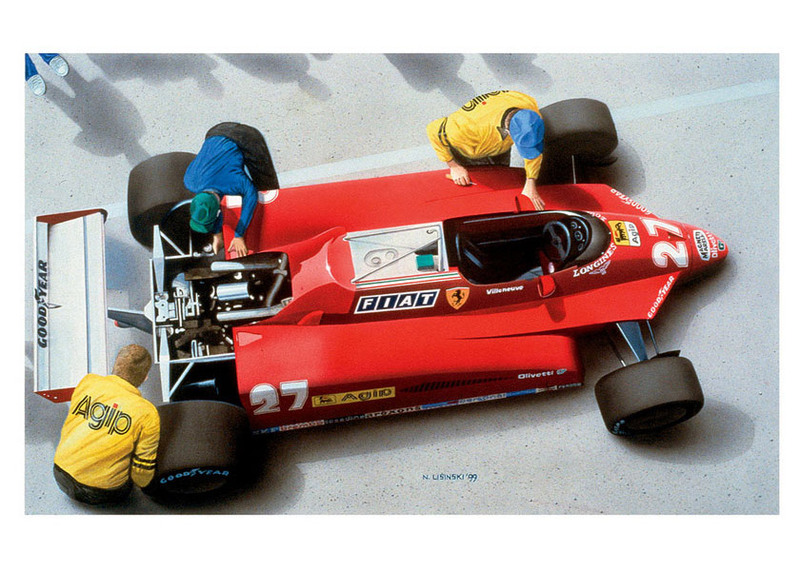 There were many incidents like this, that began Villeneuve's entry into legendary status. He was legendary off the track as well. After an advertising photo-shoot, Villeneuve, accompanied by Parent and two unsuspecting journalist, was to drive back into the local town. "Whatever you do, don't let him drive." said Parent. "I already gave him the keys." replied one of the journalists. Parent got in the back seat. He knew what was about to happen. Villeneuve proceeded to give all three of his passengers the ride of their lives. "He just never knew when to slow down." said Parent, with a wry smile on his face. "He just liked to go fast in anything." My favourite personal experience was on a winter trip to Kitsbeul for the World Cup Downhill. Villeneuve was a great friend of the Crazy Canuck downhill team. On the return trip to Monaco, he saw an ice race for motorcycles being held on a small lake beside the road. On came the hand-brake and a quick spin in the middle of the road and back we went. Villeneuve had to see what was going on. Once recognized, Villeneuve was offered one of the bikes to take a little spin around the track. Within two laps, Villeneuve was at the track record and soon was under it! He had taken the very powerful motorcycle, with large spikes for studs on the tires and charmed the crowd with his bravery and speed. Again the legend grew. In May of 1982, the Formula 1 circus made it's annual stop in Belgium. This year Zolder was the location, rather than the legendary and daunting Spa. During the final moments of qualifying on Saturday, Villeneuve crested the rise after the first chicane following the pit exit. He encountered the much slower March-Ford of Jochen Mass. Villeneuve was on his last set of qualifying tires, it was his final chance to better his position on the starting grid. There would be no question of lifting off to make his pass. He eased his Ferrari to the right. At precisely the same moment, Mass also pulled to the right, to give Villeneuve the best line. The mis-understanding led to Villeneuve's left front tire striking the right rear of the March. It was the fourth such accident in Villeneuve's career. 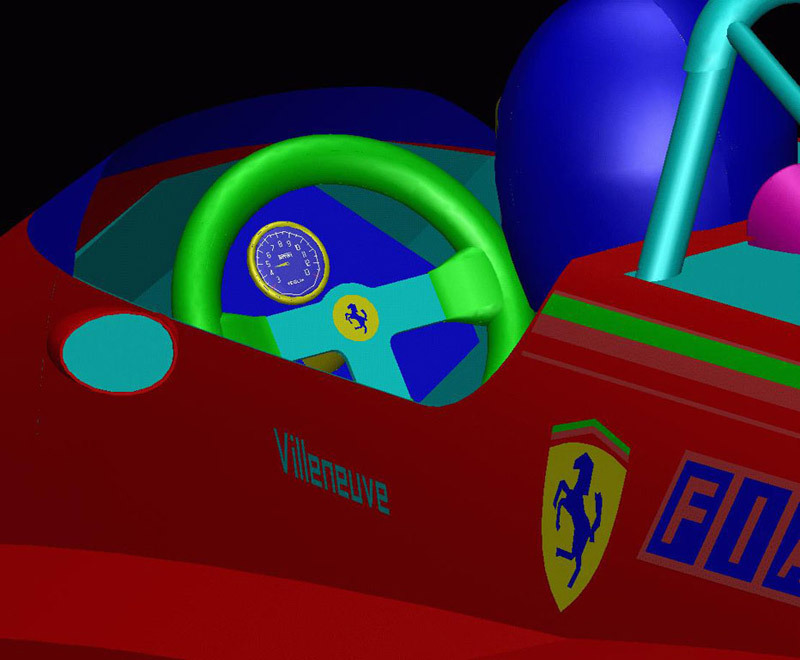 The Ferrari instantly became air-borne at over 200 kmph. It somersaulted several times and landed nose-first in soft sand at the side of the track. Villeneuve was thrown from his beloved Ferrari and ended up in the catch-fencing on the outside of the turn. His final moments were repeatedly shown to his fans and followers via world television. His death shocked the Grand Prix family to it's core. 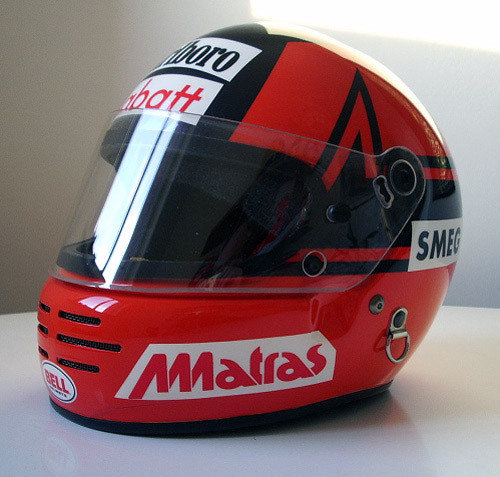 Later that day, Eddie Cheever, driver of the Talbot-Matra Formula 1 car and close friend of Villeneuve, remarked. "I can only think, the last thing on his mind, as he flew through the air, was 'Well, I really blew that lap!'." For many, it was the day the air went out of the balloon. It was the day the music died. To this day, I still enjoy racing, but I have never levelled my camera at another Formula 1 racing car. It was well over a decade before another Canadian would enter and qualify a Grand Prix car. Again it was a Villeneuve. This time, it was the son of the father. Jacques Villeneuve, Gilles son, had begun his racing career in Europe, before heading to Japan to hone his skills. Upon his return to Canada, he was an accomplished and professional young man, with considerable talent and a very long shadow to walk in. Those that loved the father, loved the son. He could do no wrong. He would please his father's Canadian fans and gather in his own legions of fans, world-wide. Young Villeneuve would move to CART racing and win the title, he would also win the prestigious Indianapolis 500. He had won it all, but there was still an important goal yet to be dealt with...Formula 1! The call was not long in coming, but it did not come from Ferrari. It came from the all-powerful Williams team. The driver's tests were conducted, under the ever-watchful eye of the media, for this was the son of the great one. 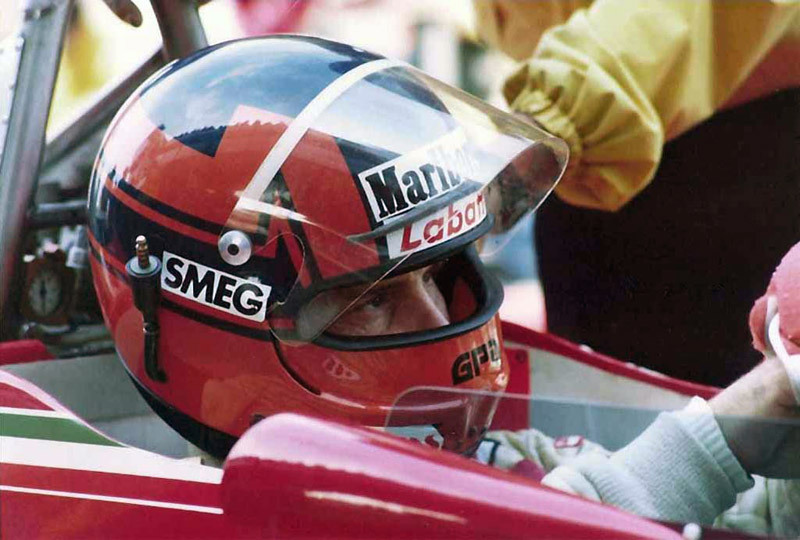 An offer was made, the offer accepted and Jacques jumped the CART ship and was now a principal driver of the then, most powerful team in Formula 1. It took two years, but Jacques won many races and finally the title that had eluded his father. In 1997, Jacques Villeneuve was crowned the World Champion of Formula 1. Soon after his illustrious year, Villeneuve jumped ship from the Williams team and helped form the new BAR Formula 1 team. The team has floundered and progress has been difficult. Young Villeneuve has become frustrated as an also-ran. His need to stand on the top of the podium has given him an eye to the future, an eye to a team that can put him back on top. 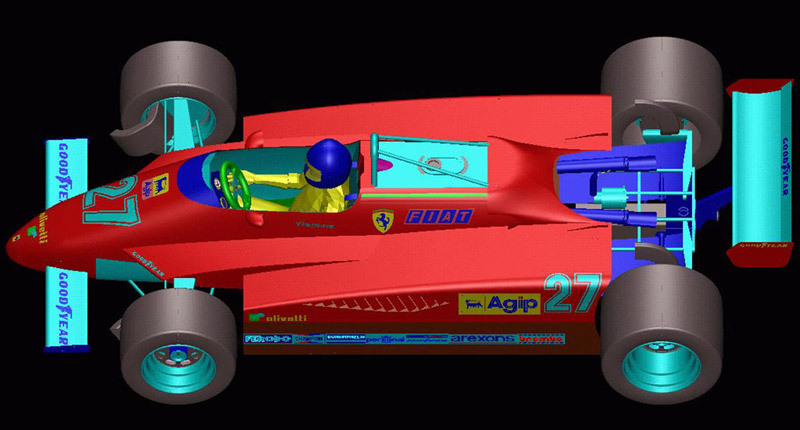 It is often said it would be quite a dream to see another Ferrari wearing the number 27, with a Villeneuve at the helm. Only time will tell. Here are some pictures. I would be honored if you can find a place for them on your site. If possible, I would like the comments to be posted along with the pictures. 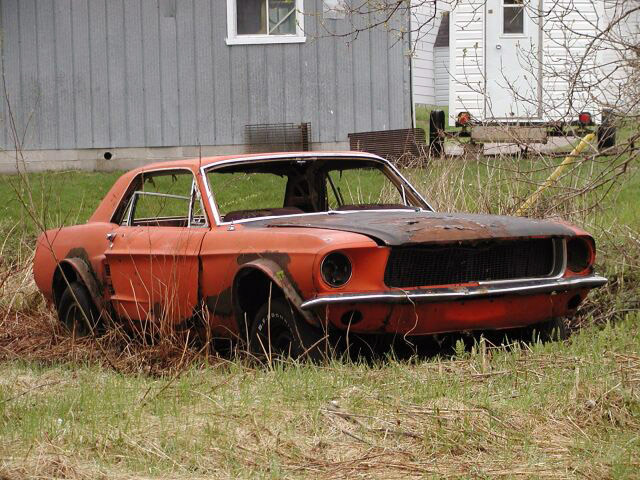 This is one of Gilles' first cars: a '67 Mustang (or rather what is left of it). Villeneuve drove this car in "dirt track" races in Québec. The car was on a lot in Berthierville which belongs to the Villeneuve Family. The story says that in order to save some money, Gilles' girlfriend, Joanna, would hide in the trunk of this car to enter the camping sites at the races. 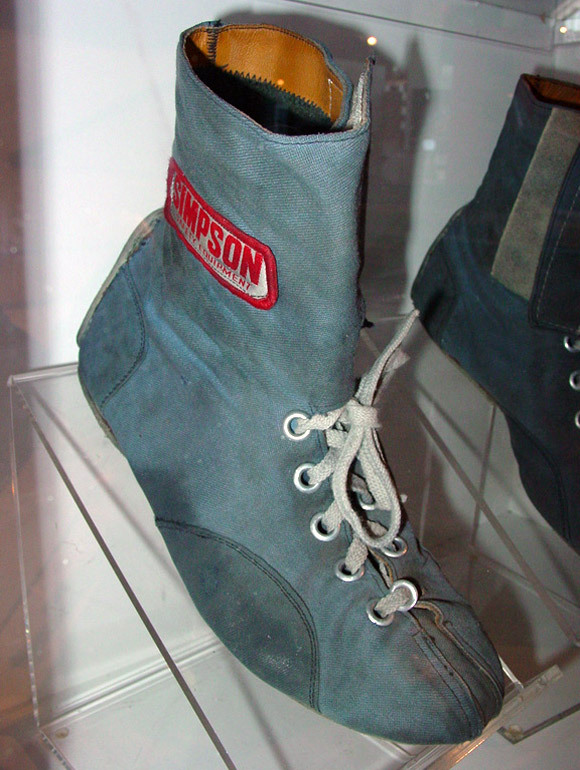 Story says that somewhere on this same lot, Gilles buried this prototype deep in the ground after a disagreement with sponsor Alouette. 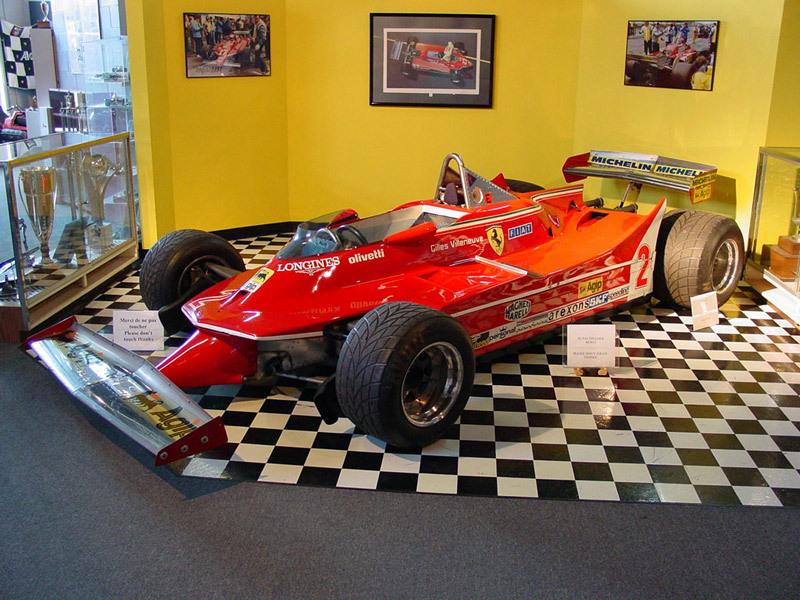 At the "Gilles Villeneuve Museum" in Berthierville, a Ferrari 126C was on display in 2002. 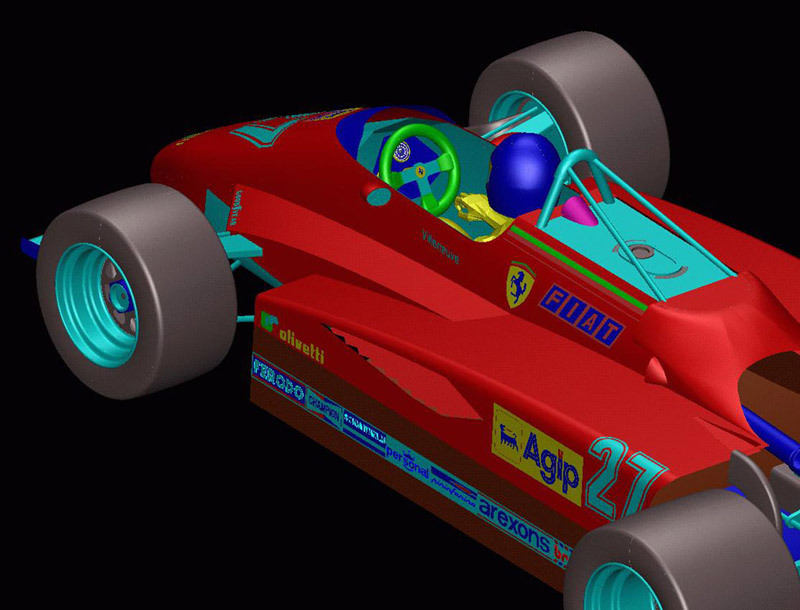 These are the pictures of a CAD model I have designed two years ago: it's the Ferrari 126C2. Unfortunately I did it at my office and the datas were destroyed before I finished the model... I would be glad and proud if these pictures were added to your site. 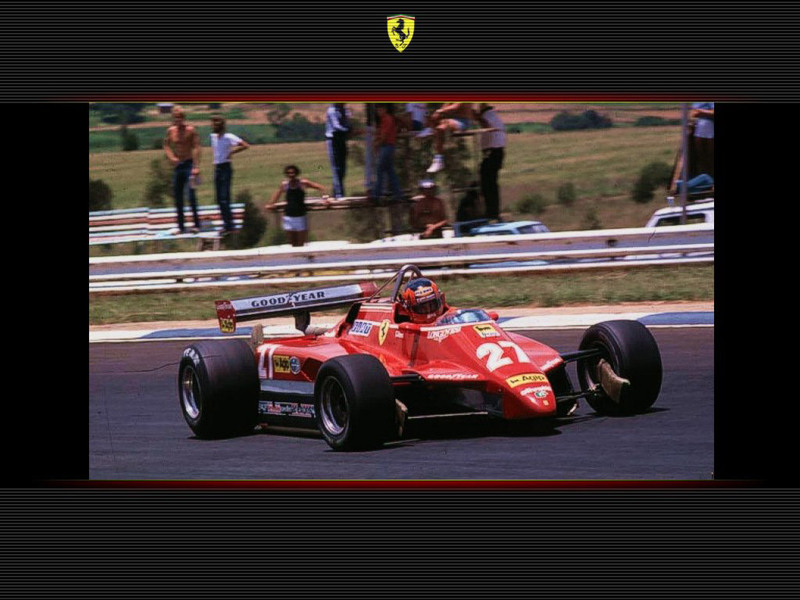 A series of six Gilles' wallpapers from Brazil. Saudações. 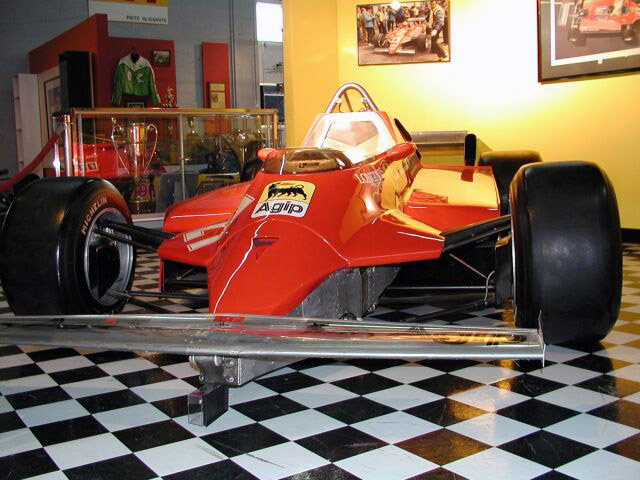 These are some photoshots taken inside the "Gilles Villeneuve Museum" in Berthierville. 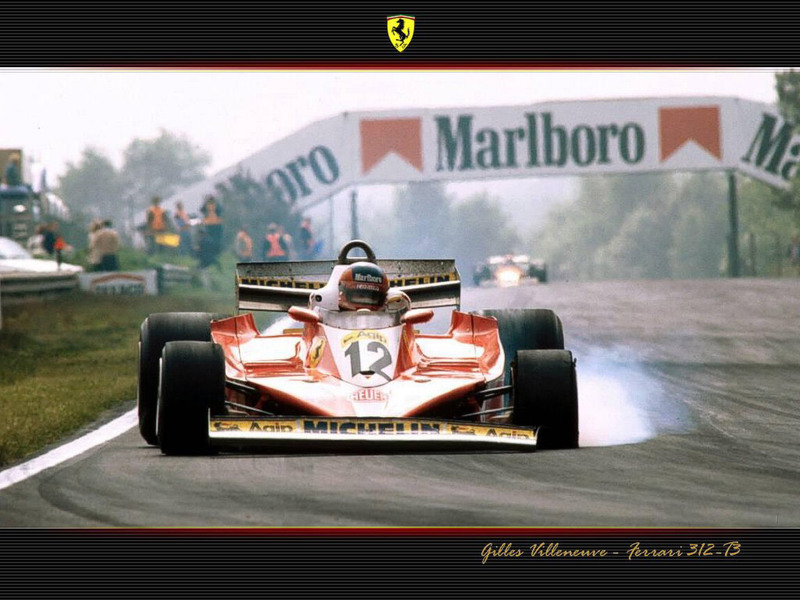 I was lucky to have seen racing Gilles several times at Zandvoort (1978, 1979, 1980 and 1981), as well as at Zolder in 1979. Here are some pics I took of him. Best regards from Holland. Hi, I collect helmets of Formula 1 drivers, mostly Ferrari. My personal favourites are Regazzoni, Lauda and Badoer. 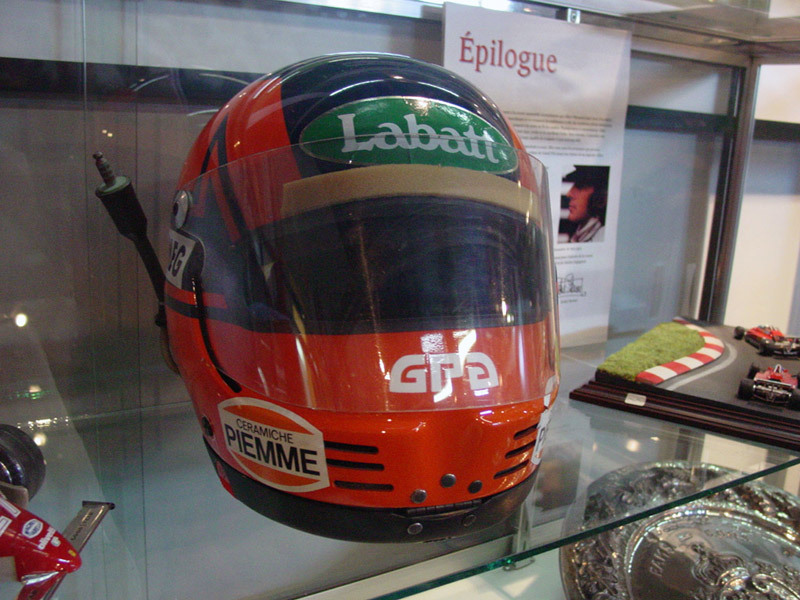 The helmets are all replicas and I thought you may be interested in a Gilles' replica Bell I have. Regards and good luck with your website. 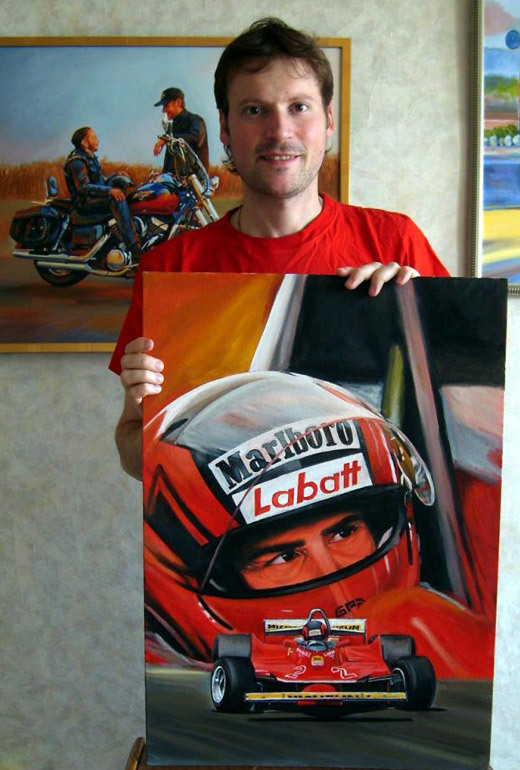 and I like to paint racing cars and many drivers, especially Gilles Villeneuve. The first personal paint is for all of you: "The little Prince", canvas on cardboard, oil 70x50 cm. The second work is the reproduction of an original artwork by Mathat. 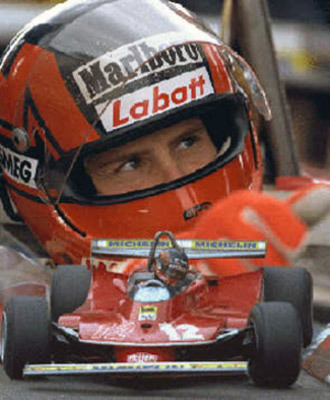 Gilles was never forget and after more than a quarter of century from his disappearance in Zolder, he remains an hero and an idol for all Formula 1 fans. webmaster: Great job, many thanks. 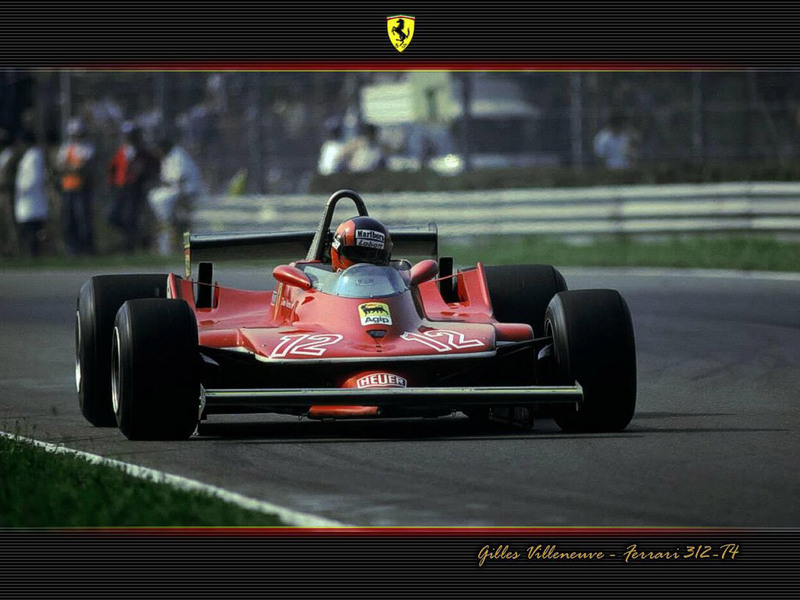 I am also a Gilles Villeneuve fan from Canada. 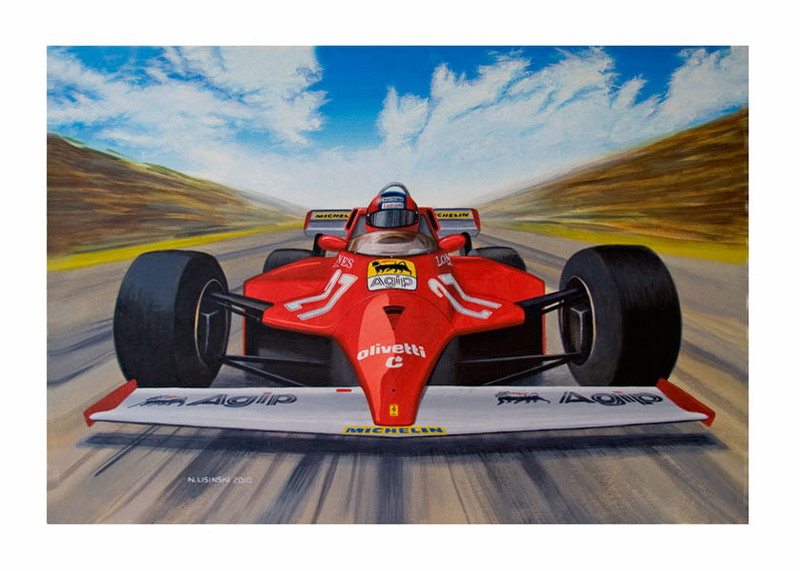 I am an artist who is interested in automotive and Formula 1 art. Please post my images. Thank you. webmaster: Thanks to you too. Hello. 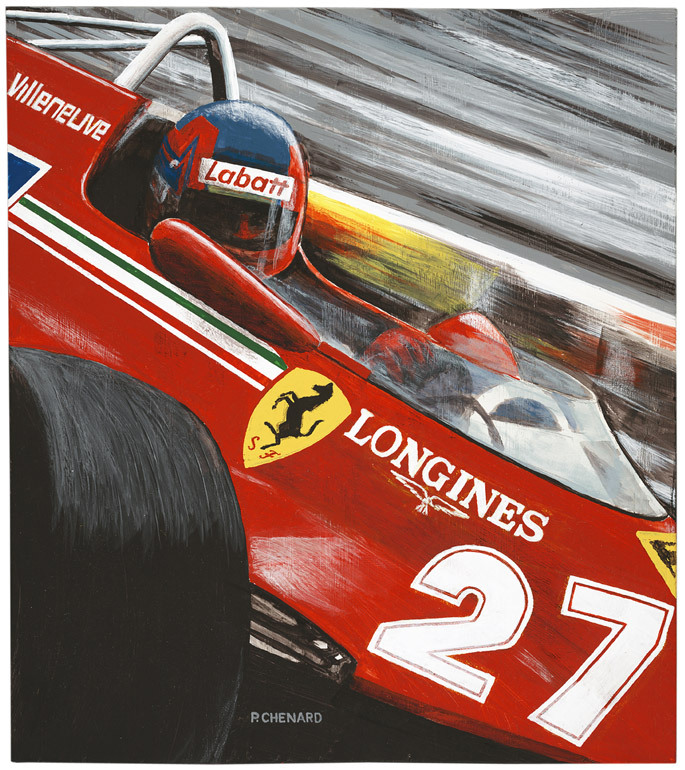 I found your great website and I thought you might like to add my Villeneuve painting: I've attached it here. 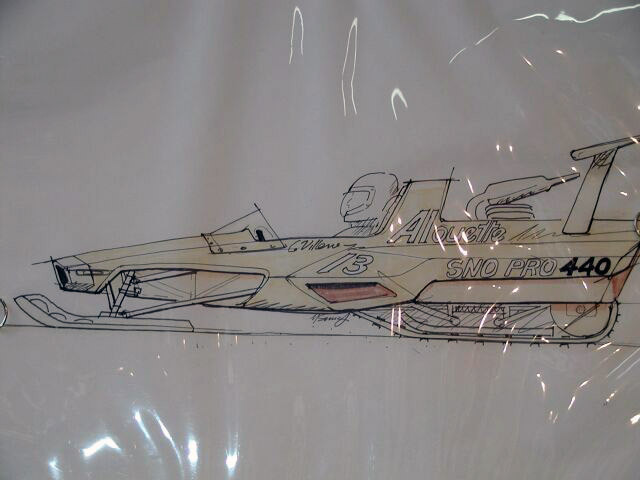 I'm also attaching a sketch I did of the Villeneuve/Arnoux battle for second place at Dijon 1979. What do you think? Cheers! webmaster: Many thanks. Two beautiful artworks. Hello. 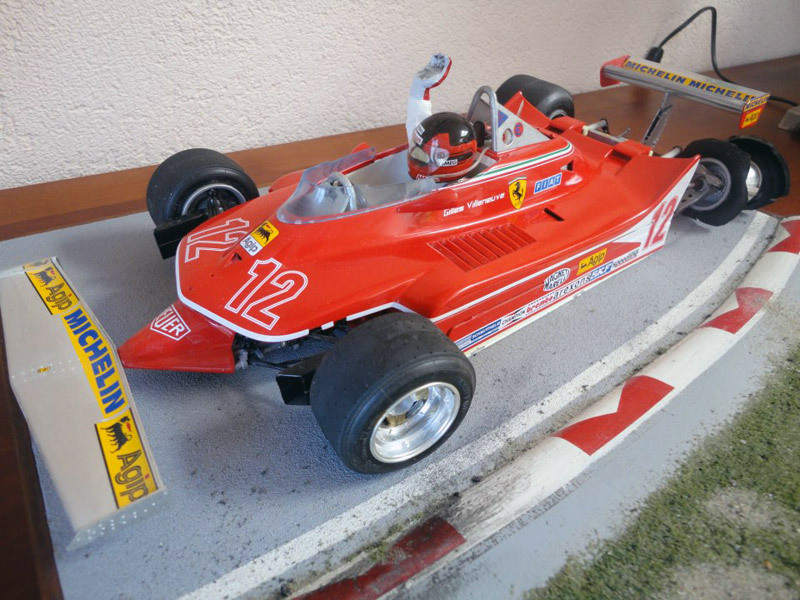 Here some pictures of a 1:12 scale model of Gilles storming back to the pits at Zandvoort 1979. I made it starting from a Tamiya model.